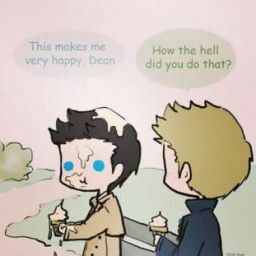 (COMPLETE)My first fanfiction. Please don't judge, I promise I'll get better. 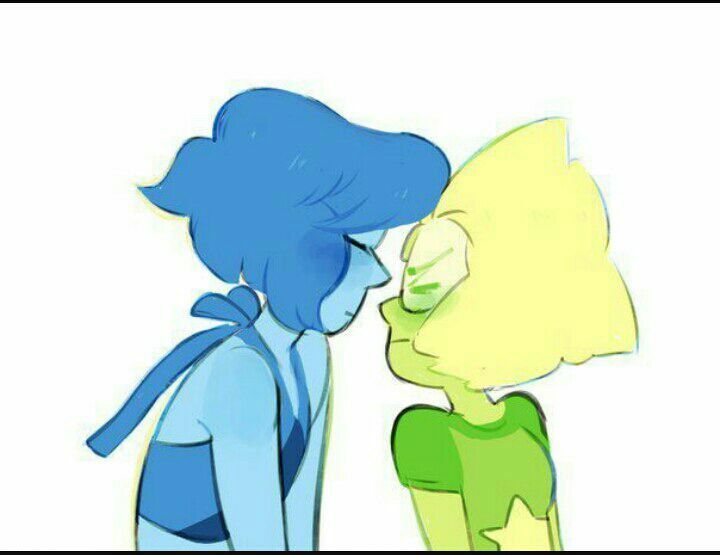 Lapidot. After the gems leave from the trip with the rubies to the moon, Lapis decides to make a move on Peri. I looked at Peridot as she squatted to get into a box of metal scraps. Looking her up and down, I suddenly realized something I hadn&apos;t wanted to admit for months. I was in love with her. As she went on about Smokey Quartz, Jasper&apos;s corruption, and the gem monsters, I pondered just how to work up the courage. I didn&apos;t know if she loved me back, so that put a serious damper on my confidence. I flew up to the truck to watch Camp Pining Hearts and think. Maybe Percy and Pierre could help me out. I put on season 1 episode 21, and let my thoughts wonder. Maybe I could flirt with her and see how she responds? Nah, she&apos;s way to smart for that. I&apos;d look dumb. Kiss her when she won&apos;t see it coming? No, she wouldn&apos;t take that well. Hours passed as I watched the episodes in no random order, taking in details I hadn&apos;t before. The subtle way Percy looked at Pierre. The way Paulette talked to Percy. The way they grazed elbows or knees while walking. Things you wouldn&apos;t notice if you didn&apos;t look. Or weren&apos;t in love. Then it hit me. Literally. Peri literally threw an empty paint can at me, attempting to get my attention when I hadn&apos;t responded. "Sorry! Lost in my thoughts again!" I said, flying down to talk. " What is it?" "I wanted to know what you think of my morp. It&apos;s supposed to be Smokey&apos;s yo-yo." Peri watched my eyes graze over the yo-yo, then lock onto her face. Grabbing both her shoulders, I looked her dead in the eyes. "I love it. It should go, hmmmm, here." Using my elemental manipulation, I moved the large yo-yo into the barn and hung it by the &apos;string&apos; from one of the rafters. I looked down at Peri. She was smiling that stupid smile of hers. I blushed at looked away, putting the water back in the pool that Steven and Peri gave to me as a gift when I thought I didn&apos;t like her. She hugged my waist with her tiny form, and I leaned down and hugged her back. "Thanks, Lazuli. I can&apos;t imagine how happy you are now that Ja- I mean, you know, she is gone. It must be a huge relief to you." She looked up at me, wanting to see my reaction. I put her at arms length and said, "You know, it really is. I feel so much freer, especially when I&apos;m around you. Seeing you around, always busy, always fixing, it makes everything else go away." I kissed her cheek, blushed furiously, and flew back up to the truck to finish Camp Pining Hearts. So much for letting her know slowly, I thought. A.N. : I will probably update this at least once a week. Please keep reading, I promise I&apos;ll get better, as will the plot. Thanks so much for checking me out guys. See ya next time!